It is hard to believe that I have posted this recipe a year ago – and now I am about to make a big batch of these delicious squares again as a treat for all our friends coming to the Discstock Disc Golf Tournamnet in South River, Ontario. 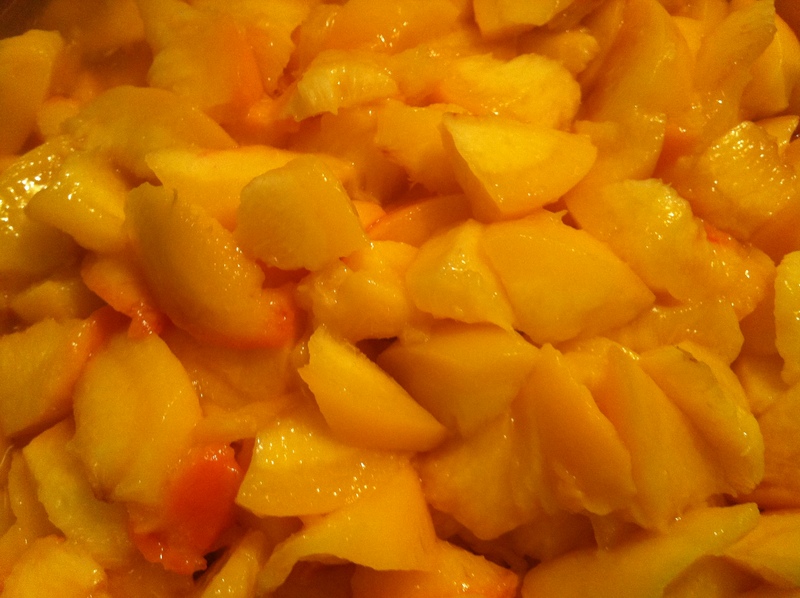 Try this recipe – you dont have to make as many as I did here – using one pastry recipe batch and enough fresh peaches to fill that will give you a wonderful dessert your family will love! This is one of my favorite recipes – and everyone’s who ever tasted them woudl without a doubt atest to the fact that they are just awesome! I made a huge pan of them couple weeks ago as a treat to all attending disc golf tournament in South River, Ontario – on beautiful Algonquin Disc Golf Course and decided to share this recipe with all of you. The bonus here is that the recipe will feed at least 50 people – so if you need to make a large dessert – this is your recipe! 4. 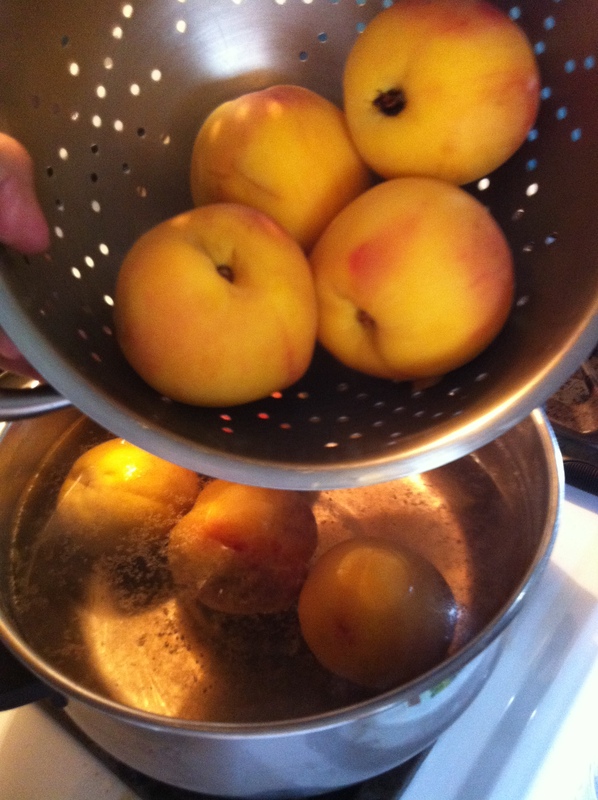 I used large basket of peaches and after I cut them up into small pieces, I put them into a large pot, added about 1-1/2 cups of brown sugar and couple of tablespoons of cinnamon. There is enough juice to just bring the mixture to slow boil and add enough flour to thicken it. It should be think enough so that you cannot see the runny juice – if you do, the filling will also be runny after baking. 5. Let the filling cool down – and get your pastry ready. You can use this recipe for everything you want to bake - from squares to meat pies to tarts.... it never fails me! 7. Once you made your pastry, roll it out to desired size – depending on a pan you will be using to bake the squares. I made 2 batches of the pastry and used one for the bottom crust and the second one for the top crust. 8. 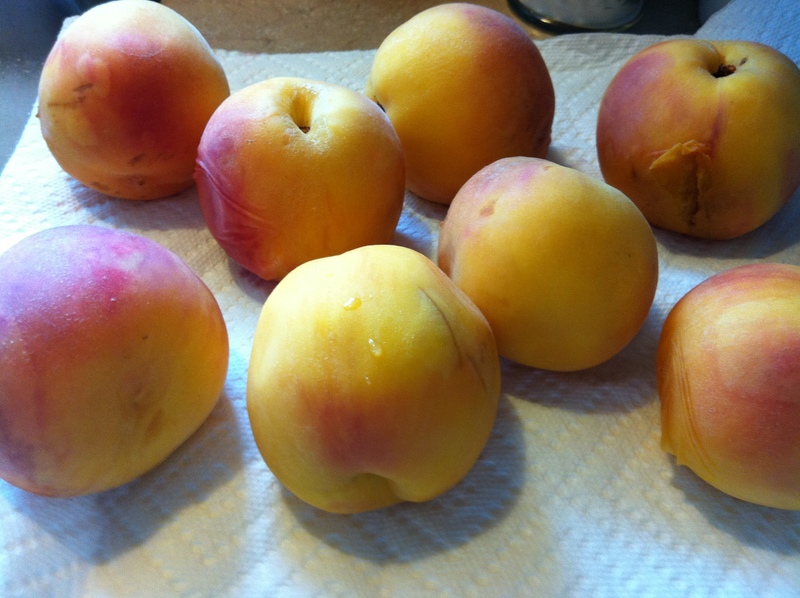 Place the bottom crust into your baking pan, fill with you cooled down peach filling and cover with your to crust. 9. I beat an egg and brush the top with it, then sprinkle ground almonds and vanilla sugar all over the top. 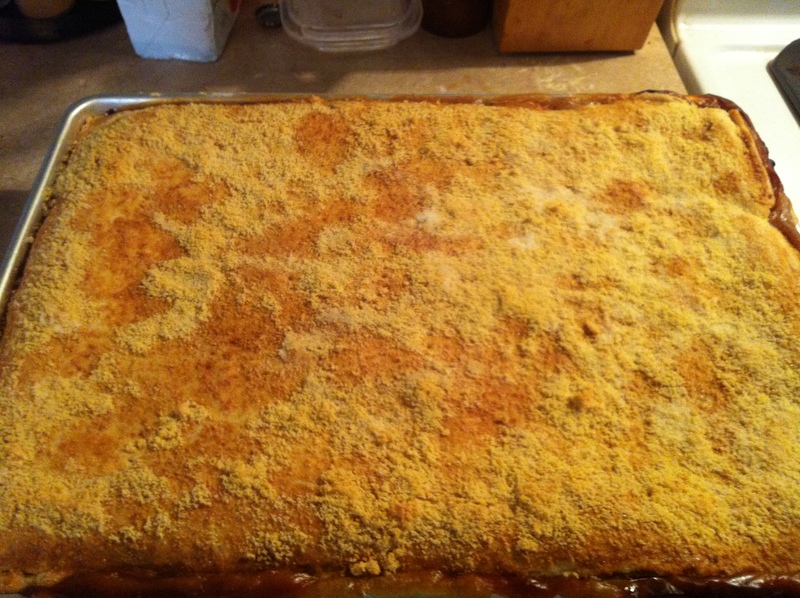 I took this picture right after the squares were finished baking - huge pan - enough for at least 50 people! And this was the last picture I managed to take – all I can tell you is that I cut 72 squares! I put each one into a paper muffin cup so it was easier for people to pick them up. When I got my camera to take pictures of finished dessert – they were all gone! Hope you have enjoyed this recipe – and I would love to hear your comments. suggestions and see your photos! Your input is always welcomed and very much appreciated!